Secret Cinema is absolutely massive now. It seems like half of London has been to their Empire Strikes Back event that’s been running all summer, and the Back To The Future did the same last year. But now they’re putting their success to good use. 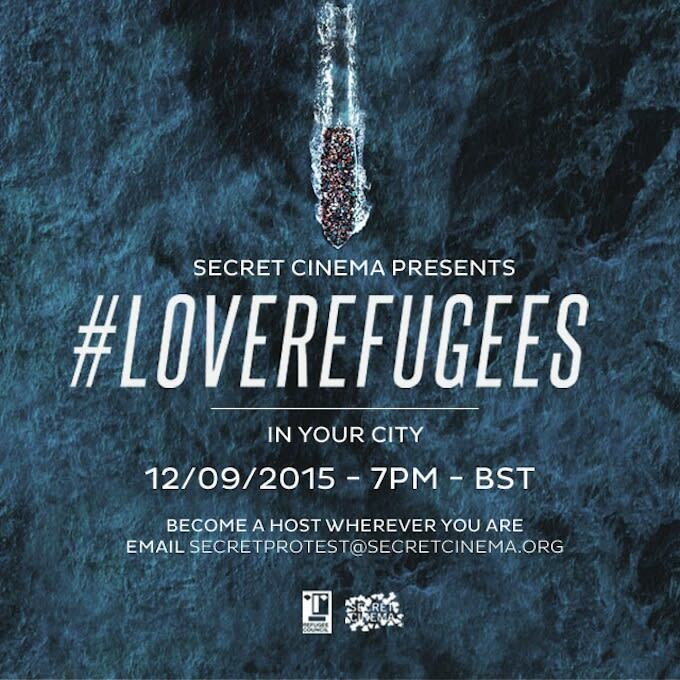 They have announced a worldwide “Secret Cultural Protest” called #LoveRefugees, supporting refugee charities. It’ll start with a screening event in London on Saturday September 12, in aid of the Refugee Council. It’ll be a traditional style Secret Cinema event, with the location kept hidden and the film showing not revealed until the night. You can book tickets now. And at the same time, they are planning to build a makeshift screen at the ‘Jungle Refugee’ camp in Calais, and show the chosen film simultaneously in London and France. They&apos;re also looking for people to host events at the same time in other cities.